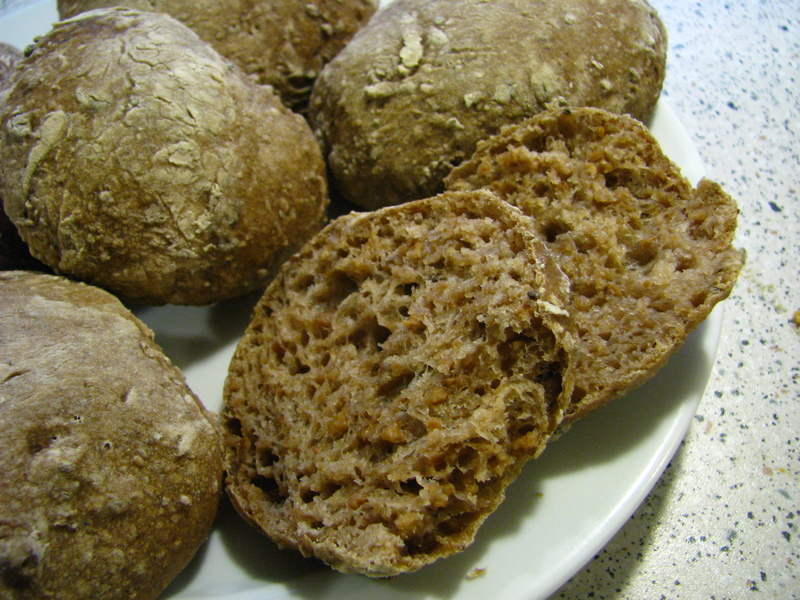 With a large amount of time on my hands recently, I’ve looked into some slightly less straight forward forms of free food. 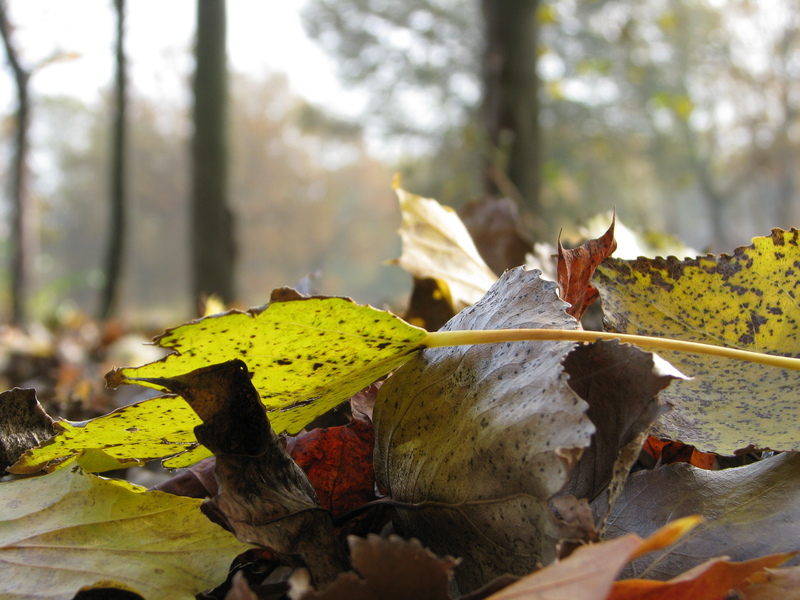 Finding myself in Denmark surrounded by countless fruiting beech and oak trees I spent a day in the leaf litter collecting acorns and beech nuts. Acorns are a very important food source for many animals. They are enjoyed by a variety of birds (including jays, pigeons and woodpeckers), small mammals (mice and squirrels) and large mammals including deer. 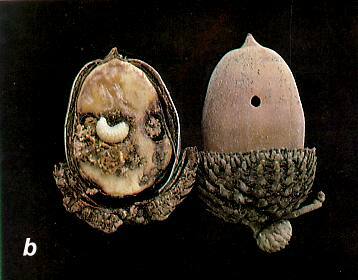 Moth and weevil large also develop inside acorns (see right). Acorns are full of energy and nutrients and are often cached or stored to be consumed later! For human consumption, you need to remove the bitter tasting tannins (left) before acorns are palatable. 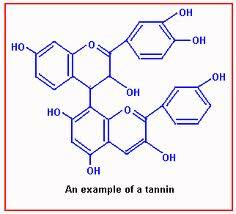 Tannins are astringents which cause shrinking or constriction of body tissues due to protein binding. Tannins contained in certain foods cause that dry cotton wool mouth feel as the saliva proteins are bound together. Have you ever eaten a sloe (blackthron berry) or some banana skin? You know what I’m talking about! After releasing the nuts from their tough outer shell (a few hours in front of the TV will have it done) and discarding any partially eaten fruits the bounty was ready. We ground the acorns in a blender (not too fine) with some water. In order to leech out the tannins the meal was covered in water and allowed to stand. Then twice a day the water was changed and slowly the fluid turned from a murky brown to a clear pale colour. The meal was drained (using a coffee filter!) 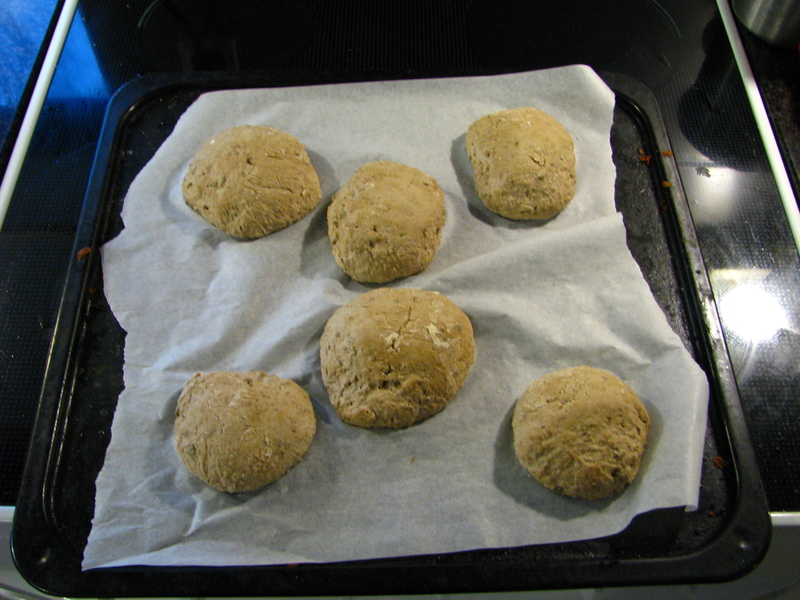 and spread on a baking tray (it doesn’t look very appealing!). 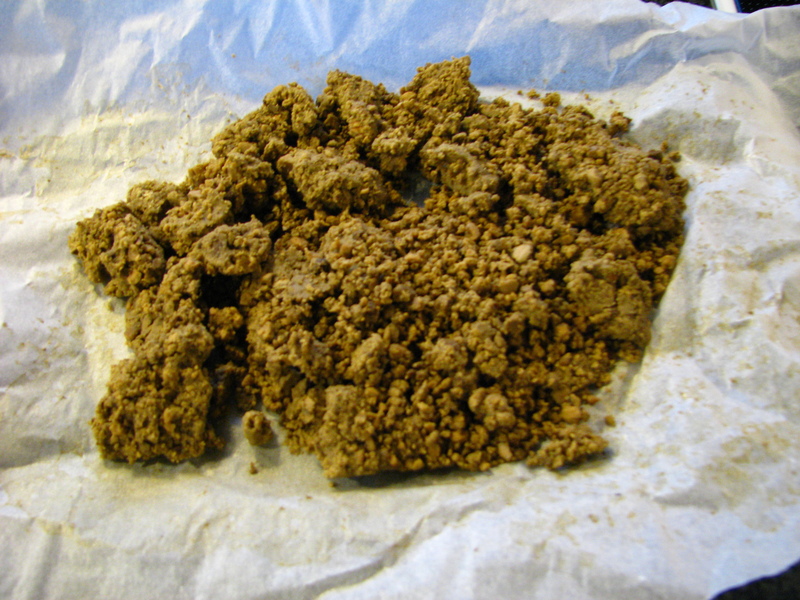 If you are planning on storing it, you will need to dry it out. To do this, place the meal in the oven on a low heat (about 50 degrees) for about an hour. This step can be avoided if you are going to use it straight away.